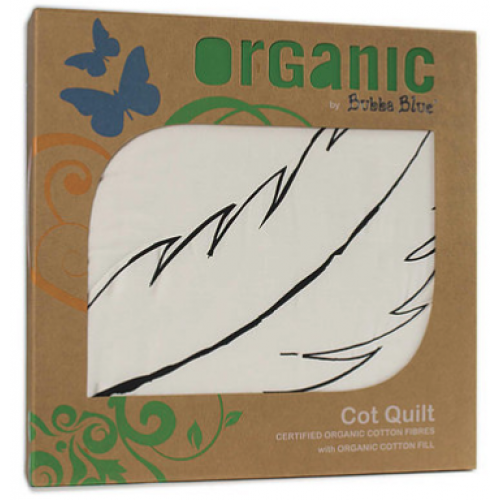 This wonderful Organic cotton reversible cot quilt is made from a soft premium cotton cover and fill, and features our beautiful Feathers print. 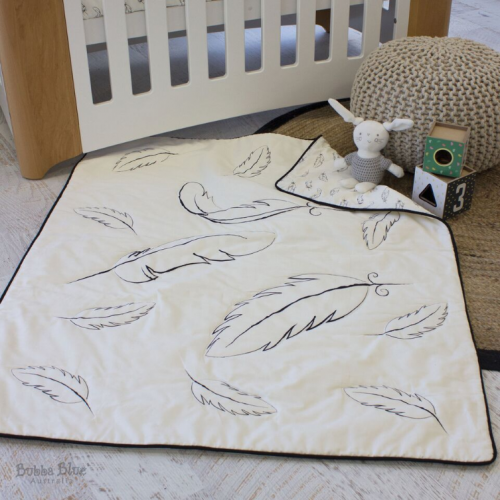 You can match this quilt with other items from this range to complete your nursery setting. Also ideal as a playmat and perfect for tummy time. Do not tumble dry. Air dry, away from direct heat.